Wally Lonergan died of congestive heart failure on August 27, 2018, in Caldwell. His wife, Luise, was at his side. He was 90 years old. He was born in Potlach, Idaho, where his father was employed in the forest resources industry, working for the Potlatch and Weyerhauser corporations. During his high school and college years Wally was an all-around athlete, lettering in football, basketball, track, and tennis. At six feet seven inches tall, he was a formidable basketball player, known as “The Wall” because it was so hard to get around him. Wally attended the College of Idaho, graduating in 1950, with a degree in political science. After his graduation, he received an opportunity to be a U.S. Senate Intern. Unfortunately, that summer the Korean War began and he was drafted into the U.S. Army. Following basic training he attended leadership school and officers’ candidate school, receiving a commission as a lieutenant. He served in strategic intelligence and psychological warfare units until the armistice was signed in 1953. While in the Army Wally met and married Joan Laurie Penoyer in 1952. After his military service, he and Joan moved to Chicago, Illinois, where he began graduate study at the University of Chicago. In 1953 he was a Weyerhauser Foundation Fellow. Wally received his MBA degree in 1955 and his Ph.D. in 1960 in Human Resources and Industrial Relations. While completing his doctorate, Wally joined the faculty of the university’s Graduate School of Business and the Research and Program Development staff at the Industrial Relations-Human Resources Center. He became a full professor and the Center Director in 1976. He managed a wide range of educational and research programs in business, government, and non-profit organizations. He also authored and co-authored books and articles, and served as a corporate consultant in strategic planning and management development. Their two sons were born in Chicago: Steven Mark Lonergan (1956) and Kevin James Lonergan (1961). In 1978 Wally was selected to participate in the Anglican Scholar Exchange Program and was a visiting fellow at Merton College at Oxford University. He was also a visiting professor at Rikkyo University in Tokyo, Japan, where he was instrumental in starting a 20-year faculty exchange program. He was consultant to many international organizations in Asia and Europe, including the Ford Foundation programs in Mexico and Latin America. In 1986 Wally returned to the C of I as Dean of the J.A. Albertson School of Business, Professor of Management, and Director of the Leadership Program, which he designed and implemented. In 1992 when the business school reorganized as an academic division, Wally became the Everett L. Doty Professor of Business, and Director of the Leadership Program. He served as chairman of the new division until his retirement in 2013. A life-long Episcopalian, Wally served in many lay leadership positions both in the Diocese of Chicago and in the Diocese of Idaho. He was ordained as an Episcopal Priest in 1997. He then volunteered as the priest at St David’s Episcopal Church in Caldwell until 2015. He was President of the Idaho Episcopal Foundation from 2010 to 2011, and served the IEF for more than 20 years. For that service he was presented with the foundation’s Cornerstone Award in 2015. Wally served on the Boards of the United Way and the Chamber of Commerce. 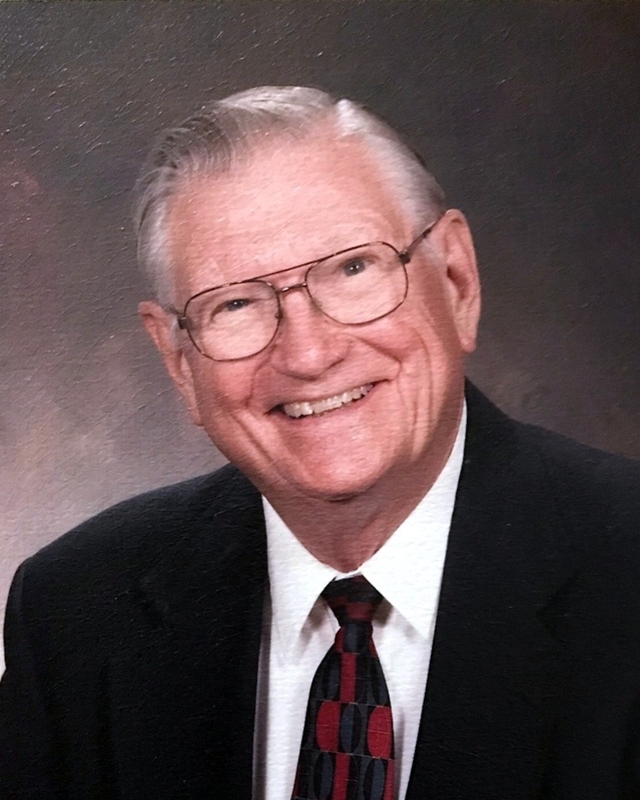 He was a member of the Caldwell Rotary Club for 30 years, chairing the Scholarship Committee and the Ambassador Scholarship Committee of District 5400 of Rotary International. He was recognized as a Paul Harris Fellow and the 2016 Rotarian of the year. He also served as the Chairman of the Board of Directors at West Valley Medical Center. In 2013, with others, Wally was a leading co-founder of the Caldwell Diaper Bank, which distributed 20,000 diapers to impoverished families in the first 10 months of its operation, starting from only $5000 in initial grant funding. The Caldwell Diaper Bank was the first certified National Diaper Bank Network (NBDN) diaper bank in Idaho. It is now a satellite of the statewide Idaho Diaper Bank, which with more than 40 partnering agencies, distributes an average of 500,000 diapers annually. His wife, Joan, died in 2006, after 54 years of marriage. In 2007 Wally married Luise Keenahan Eadie, the widow of a Chicago friend, Dr. William J. Eadie, who died in 1993. Wally was predeceased by his parents, his wife, Joan, his son, Kevin, and two brothers, James, and The Reverend Willis Gerald Lonergan (Geraldine), and two nephews, Will (Vera, Caitlin) and David (Jennifer) Lonergan. He is survived by his wife Luise, her three sons, James (Marete, Kristian and William), Douglas (Kelli, Heather and Jocelyn), and William (Diana, Liam and Clara). Wally is also survived by his son in Minneapolis, Steve (Pat Jensen), and five grandchildren, Tom, Nicole, Hailey, and Mikayla, their mother Laura, and Kevin’s daughter, Samantha Lonergan; nephews Tom (Julie), Joe, and Michael (Vickie) Lonergan, their children, and his niece Honora Lonergan Purkiss (Jacy) and their children. Arrangements are under the direction of the Dakan Funeral Home, Caldwell. A memorial service and celebration of Wally’s life will be held at St. David’s Episcopal Church on Thursday, September 13th at 1:00 p.m. with a reception following at the church. The family wishes to thank the kind people at Lenity Senior Living, Auburn Crest Hospice, the College of Idaho, Rotary, and especially the church family at St. David’s. In lieu of flowers, the family suggests that memorial contributions be made to the Wallace G. Lonergan Endowed Scholarship at The College of Idaho, 2012 Cleveland Blvd, Caldwell, ID 83605; or St David’s Episcopal Church, 1800 Arlington Ave, Caldwell, ID 83605; or Caldwell Rotary Club, P.O. Box 24, Caldwell, ID 83606; or Idaho Diaper Bank, 621 E King St Ste 100, Meridian, ID 83642; or a charity of your choice.